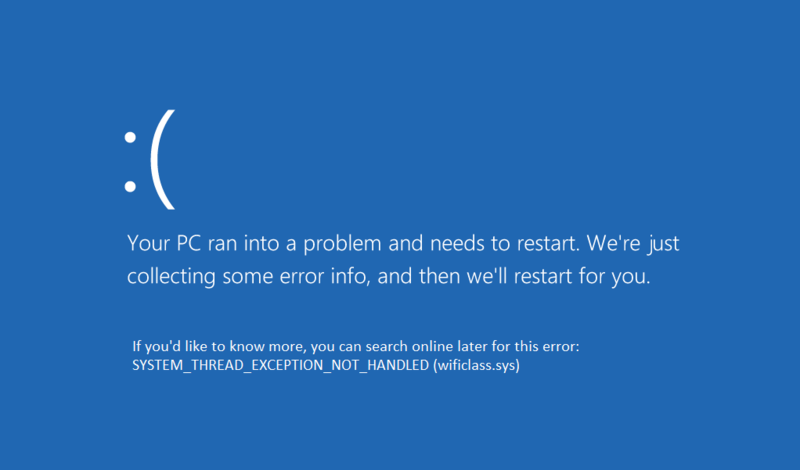 ‘System Thread Exception not handled’ error, or error 0X0000007E, is the error of the group of so-called Blue screen errors. It is caused mainly due to incompatible or old graphic card drivers. It marks that one of exceptions of a system thread couldn’t be caught in the OS. Simply put, the message indicates a hardware problem. The error occurs during system startups and can appear after each restart looping the rebooting process. The error is experienced by Windows 8 and Windows 10 users, who’ve upgraded their systems recently. This error is very troublesome to users and makes user experience very tedious and irritating. 1. Fix ‘System Thread Exception not handled’ error with drivers update. Sometimes the error text contains the name of the file with ‘.sys’ extension. The file corresponds to the driver that causes the problem, so you need to look it up on the web before performing these steps. So to find the name of the driver you can visit this website. This will give you the proper description of the driver. So in this case it’s the ATI Video driver. While the PC is restarting, press F8 several times until you see the advanced boot options menu. Choose the Safe Mode option and hit Enter. Now your computer will boot in safe mode. Go to your desktop and right click on the start menu logo. 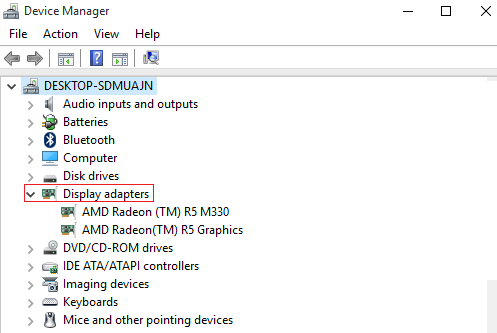 Select Device Manager, now here you need to choose the proper driver group. In my case the corrupt driver was ATI Video driver, so the driver group was Display adapters. Find the driver and on the list, right click on it and select Uninstall. Type in address bar ‘chrome://flags’ and hit Enter. At the bottom of the window you will see the ‘GPU compositing on all pages’. Choose Disabled and click Relaunch Now. Note- GPU compositing was disabled in the latest version of chrome. So if you can’t find it then you are using the latest version of chrome. Type in address bar ‘about:preferences#advanced’. Deselect ‘Use hardware acceleration when available’. Select Advanced, then check the box with ‘Use software rendering instead of GPU rendering’. Choose the Repair your computer option. Type ‘C:’ and hit Enter. Finally input ‘exit’ and press Enter. Click Continue and reboot the system. Hopefully the above mentioned steps help you resolve the issue.